Kick off your visit on the 19th (Thu): learn about winemaking at Lynx Wines and then stroll through Green Mountain Trail. 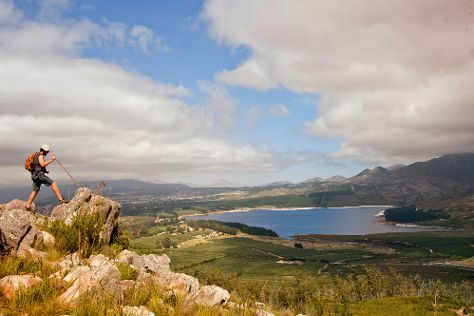 Keep things going the next day: tour the pleasant surroundings at Stony Point Penguin Colony, then take in nature's colorful creations at Harold Porter National Botanical Gardens, then stop by Bee and Kie, and finally indulge your thirst for a good beer at Honingklip Brewery. To find other places to visit, traveler tips, more things to do, and tourist information, read Elgin trip planner. Expect a daytime high around 28°C in April, and nighttime lows around 14°C. Finish your sightseeing early on the 20th (Fri) to allow enough time to travel back home.